An iconic men’s fashion staple is going green. 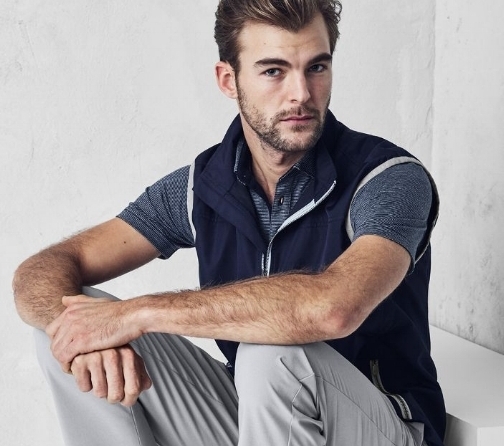 Just in time for Earth Day on April 22, Ralph Lauren launched the sale of its new eco-friendly Earth Polo made from 100 percent recycled material. Each shirt uses an average of 12 recycled plastic bottles which are spun into a microfiber yarn. The shirts retail for $89.95 and come in four colors: Baby Blue, Stewart Green, White and Newport Blue in men’s sizes XS-XXL. Those hues were chosen because they’re the same four colors you see when you look at Earth from a distance. In keeping with the eco-friendly theme, each color is achieved via a unique carbon dyeing process that uses no water in the application of the dye. A statistic on the Ralph Lauren website states that 1 million plastic bottles are purchased worldwide every minute causing plastic bottles to litter oceans, beaches and landfills around the globe. The Earth Polo is also available in women’s sizes XS-XL. To show the company’s commitment to improving the environment, even the packaging is eco-friendly. 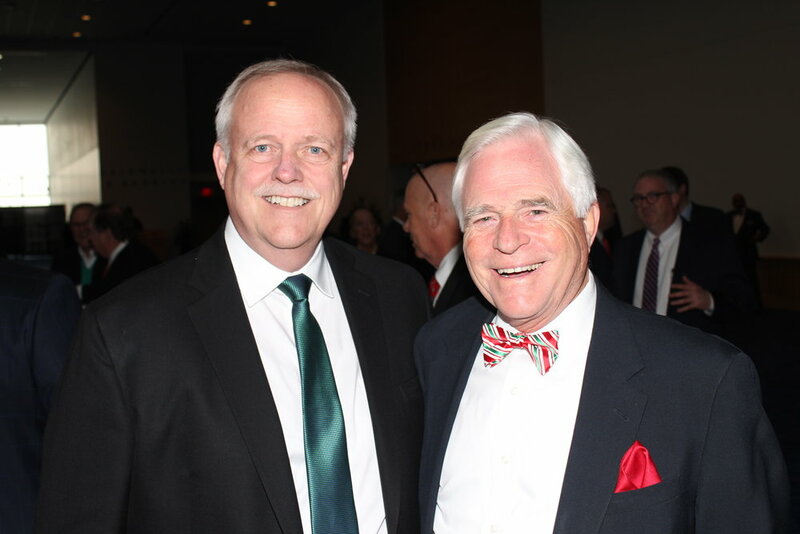 Good Fellows President Mac Everett with Russell Robinson. 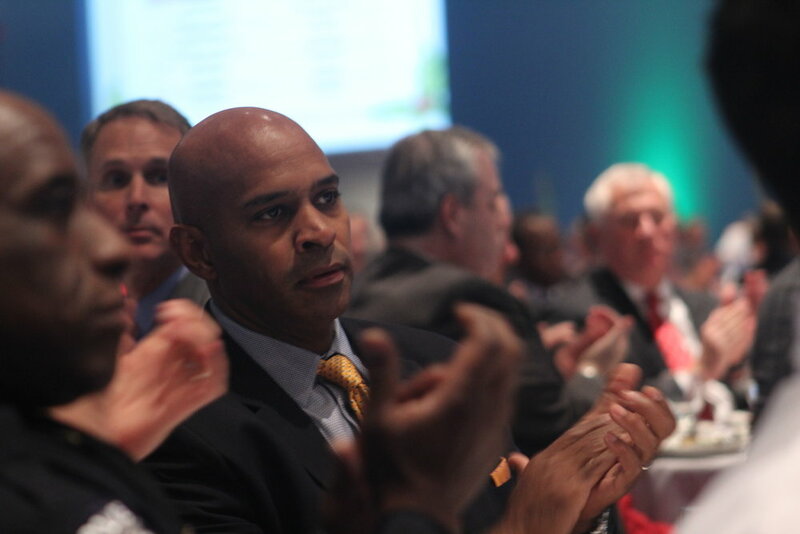 Speakers Charlotte City Manager Marcus Jones and Marcus Smith, president and CEO of Speedway Motorsports. Pat McCrory, the former Mayor of Charlotte and N.C. Governor, left, with current Charlotte Mayor, Vi Lyles, right. Marcus Smith, president & CEO of Speedway Motorsports. 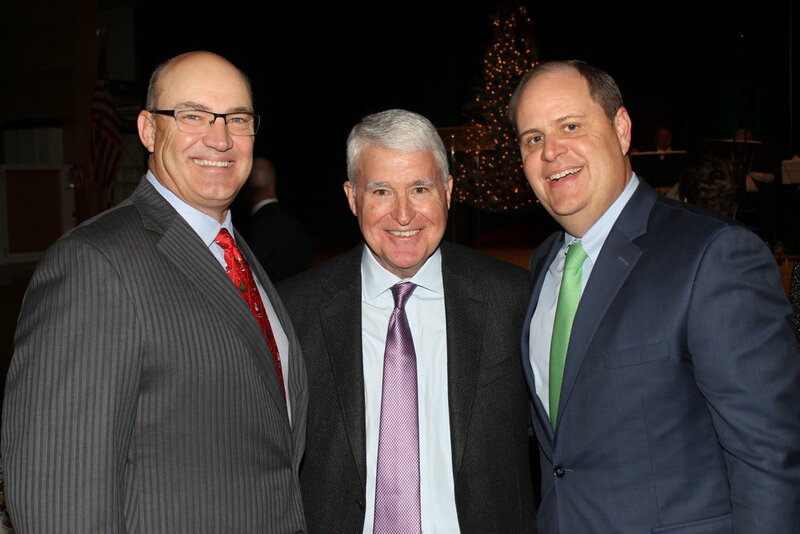 The all-male Good Fellows Club raised $1 million during its 102nd Christmas Luncheon at the NASCAR Hall of Fame. 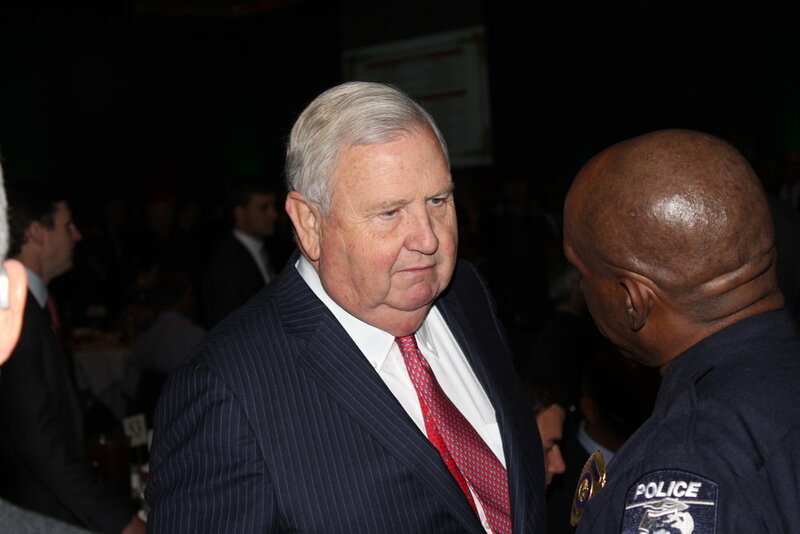 The money raised from the 1,700 members and their guests at the luncheon, which included some advance donations, goes to help Charlotte’s working poor. 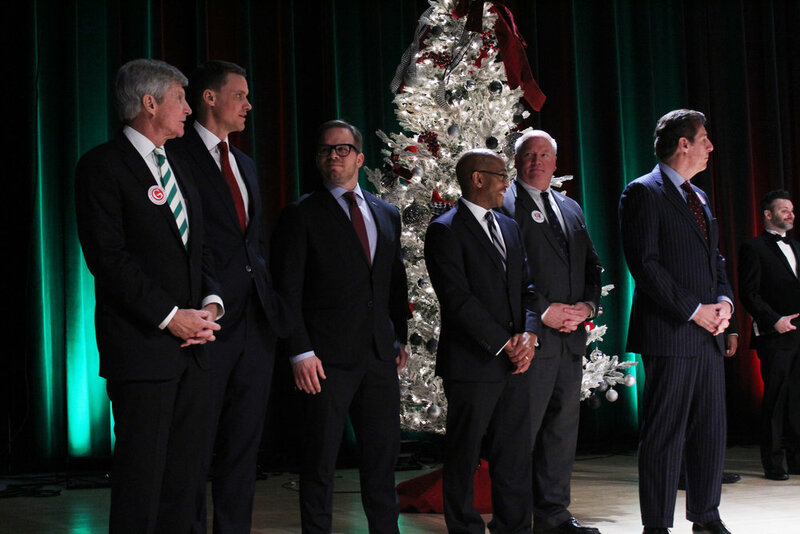 The luncheon’s speakers who helped motivate everyone to give included Charlotte City Manager Marcus Jones and Marcus Smith, president and CEO of Speedway Motorsports. 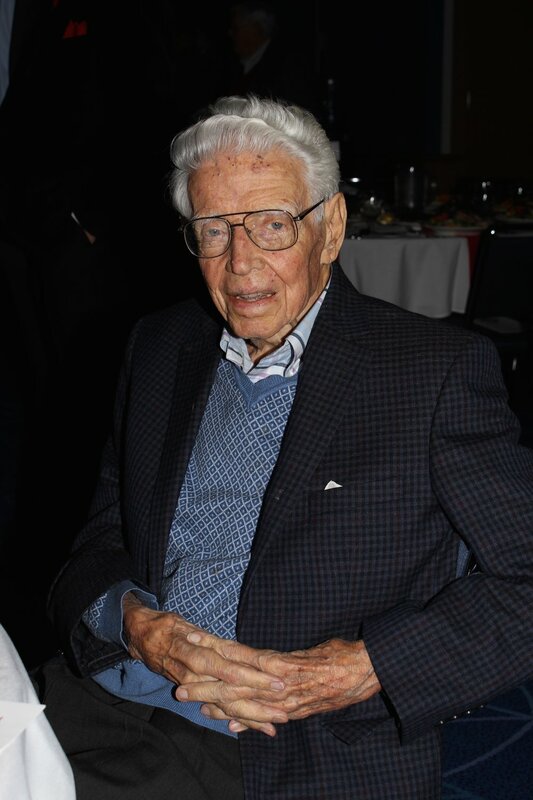 The Good Fellows Club president is Mac Everett. The club was founded in 1917 by a group of men at Second Presbyterian Church. To join, go to goodfellowsclub.org. The one-of-a-kind grill by Chef Michael Mina is available only at Williams Sonoma. $999.95. 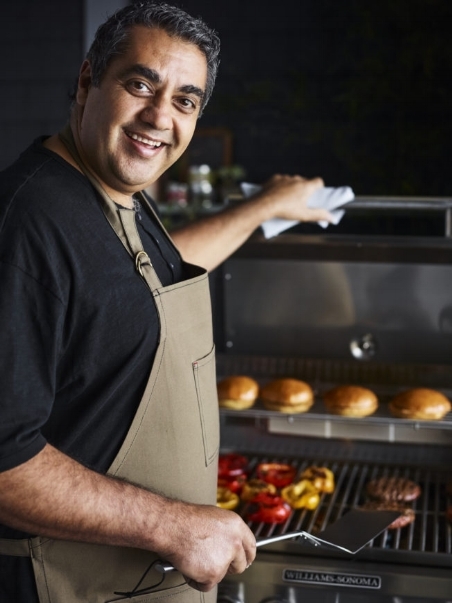 James Beard award-winning chef, restaurant owner and cookbook author Michael Mina’s new one-of-a-kind grill created exclusively for Williams Sonoma was born out of his passion for cooking and tailgating. Whether you’re hosting a backyard picnic or tailgating at your favorite sporting event, this grill will have you cooking with style on the go. It disassembles into two pieces for easy portability; functions as a roaster, coal oven and smoking box; includes a warming oven and baking compartment; and has a generous cast iron cooking surface. He also created a line of burger seasonings and sauces just for Williams Sonoma: Classic Burger Seasoning, French Onion Burger Seasoning, Chili Cheese Burger Seasoning, Buffalo Burger Seasoning, Porcini Truffle Burger Seasoning, Secret Sauce, Caramelized Onions, San Marzano Tomato Spread and Summer Fruit Relish. Chef Michael Mina is also head of Mina Group, which manages more than 30 restaurant concepts around the globe including Bourbon Pub in Santa Clara, California. The San Francisco-based chef (at his tailgates he’s rooting for the 49ers), has these tips for the perfect burger, which he shared on the Williams Sonoma blog. 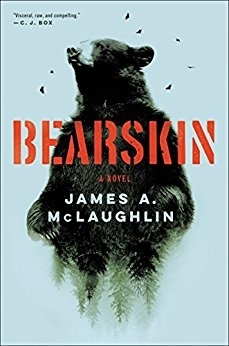 Bearskin by James A. McLaughlin (Ecco, $26.99). "Rice Moore has found a job protecting a remote forest preserve in Virginian Appalachia where his main responsibilities include tracking wildlife and refurbishing cabins. It's hard work, and totally solitary - perfect to hide away from the Mexican drug cartels he betrayed back in Arizona. But when Rice finds the carcass of a bear killed on the grounds, the quiet solitude he's so desperately sought is suddenly at risk." Southernmost by Silas House (Algonquin, $26.95). "Silas House explores the aftermath of a destructive flood in a small Tennessee town and an evangelical priest who opens his home to two gay men, forcing him to question his past, his prejudices, and everything he once held true." There There by Tommy Orange (Knopf Publishing Group, $25.99). "An explosive new talent details the lives and stories of 12 present and past day Native Americans in Oakland, California." When the English Fall by Dave Williams (Algonquin, $15.99). "Seen through the diary of Jacob, an Amish farmer trying to protect his family and his way of life, the book examines the idea of peace in the face of deadly chaos when an Amish community in Pennsylvania is caught up in the devastating aftermath of a catastrophic solar storm and the subsequent collapse of modern civilization." 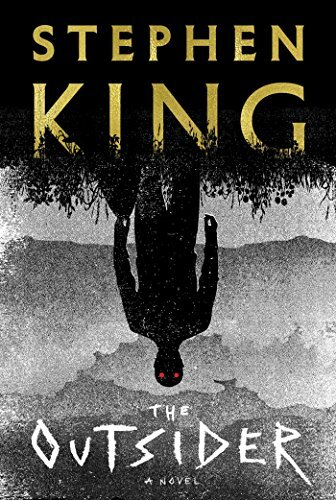 The Outsider by Stephen King (Scribner Book Company, $30). "When an 11-year-old boy is found murdered, forensic evidence and reliable eyewitnesses undeniably point to the town's popular Little League coach. But the jailed suspect has an alibi, and the detective in charge confirms that the coach was indeed out of town. So how can he have been in two places at the same time?" Grill safely with Williams Sonoma's two piece BBQ Marinade Tray. Grilling just got much safer with Williams Sonoma's BBQ Marinade Tray. The two-piece system is perfect for safely prepping and grilling meat. The red tray is for raw meat or vegetables and is deeper to accommodate marinades. Cover it with the black tray for a lid. After grilling, transfer the cooked meat or vegetables to the top black tray. The black tray nests in the lower red tray and has a textured surface and perimeter wall to elevate food and contain drippings. Each is dishwasher safe and made of lightweight BPA-free melamine that resists shattering and won't absorb flavors or odors. 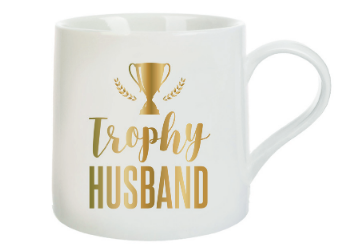 Still haven't figured out what to get dear ol' dad (or hubby or grandpa) for Father's Day? Here are four last-minute gift ideas. 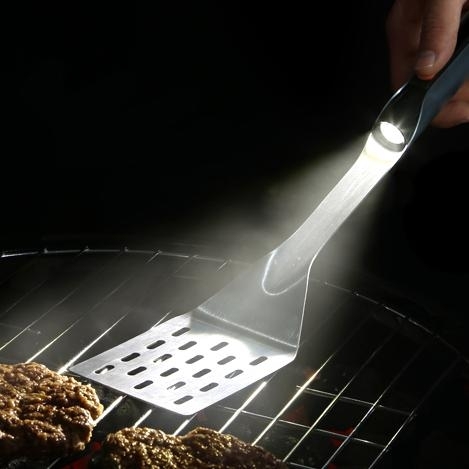 He'll never be left in the dark again with this 18-inch stainless steel barbecue spatula with a built-in LED. $28. The Buttercup. Have six-pack, will travel! This sturdy wooden bottle carrier has an attached metal bottle opener. $34.95. Hallmark. Purchase $85 or more of men's products from luxury men's brand Kiehl's and you'll get a complimentary limited edition Dopp Kit plus four deluxe samples - all gift wrapped. Available at the Kiehl's counter at Belk, Neiman Marcus or Nordstrom. Featured speakers at the ManUp conference on June 2 are Carolina Panther Thomas Davis; Miles McPherson of The Rock Church; Panthers Broadcaster Eugene Robinson; Urban Impact's Ed Glover; and Bryce Johnson of UNPACKIN' It Ministries. Join Urban Impact, in partnership with Forest Hill Church, the YMCA of Greater Charlotte, and The Park Church for an encouraging day of worship, prayer, dynamic breakout sessions and powerful messages during the first ManUp Charlotte: Maximize Your Impact conference on June 2 at Forest Hill Church. Recommended for ages 15 and up, it's inspired by a widely known report that ranked Charlotte dead last in upward economic mobility out of the 50 largest U.S. cities. The study showed that family structure is one of the highest predictors of economic mobility - and 35% of Charlotte households with children are single parent households. The conference's organizers believe the best way to make a positive change in the upward mobility crisis is by engaging fatherlessness through showing men the great need for them to lead, love and serve their families. Featured speakers are Carolina Panther Thomas Davis; Miles McPherson of The Rock Church; Panthers Broadcaster Eugene Robinson; Urban Impact's Ed Glover; and Bryce Johnson of UNPACKIN' It Ministries. The conference is June 2 at Forest Hill Church, SouthPark campus, 7224 Park Road. Check-in and a complimentary breakfast is at 7:30 a.m.; the conference begins at 8:30 a.m. and ends at 3:30 pm. The cost is $49 (includes breakfast and lunch). To register, click here. Randy Gartz surrounded by the loves of his life, his wife and daughters. Randy Gartz has a rewarding job as Managing Director of Technology Search and Consulting for Fairview Search Group. Even though he spends his workdays at the recruiting company finding the right people for the right jobs, he says it was dumb luck that set him on his own successful career path. After leaving his hometown of Manalapan, New Jersey to study Finance and play soccer at the University of South Florida, he stayed in Tampa for two years after college before moving to Jacksonville, Florida. While in Jacksonville, he went to a recruiting office to ask them to help him find a new opportunity and he walked out with a job leading their staffing office. "I really hit it off with the president of the company and he said he would teach me the business," Randy says. "I discovered right away that it was the perfect job for me. I ended up staying there three years and helping them grow their business." His next job was working for 15 years with Robert Half, the largest accounting and finance recruiting agency in the world. He started out in Maryland and then Washington, D.C. before being asked to travel throughout the U.S. and occasionally to Europe. In 2001 he moved to his wife's hometown of Melbourne, Florida until 2009 when he was recruited by the owners of Sherpa to come to Charlotte. What he loves about his work is the positive experience of helping people find employment that utilizes their talents. "Early in my career, I found a job for a guy who had been out of work for months," Randy says. "He didn't do well on his first interview, so I coached him and helped him with his confidence. Eight months later he got a job. Later, he told me how close he had been to not being able to take care of his family and how much he appreciated me putting myself on the line to help him. That's when it really hit me that my work was so rewarding." During an interview with The O Report, Randy got the job done by sharing everything from his best timesaving tips to his favorite restaurants and his most meaningful charitable cause. My daughters have been “teaching me” for a while and now that they are in college I enjoy watching their minds expand from their great education. Olivia is at NC State University studying Mechanical Engineering. Rachel went to the University of Pittsburgh for her undergrad and is currently pursuing her master's degree in Occupational Therapy at East Carolina University. To see them immersed in their field and doing such great work is my greatest reward as a parent. I equally enjoy all the one-on-one time I’m able to get with my wife now that the girls are away in college. We enjoy new trips, fun times with other empty nesters, and socializing at good restaurants and concerts. My work environment has changed over the years. I have a closet full of suits and ties but currently at Fairview Search Group we are more business casual so I have an equally large collection of khakis and golf shirts. On the weekends, I enjoy yardwork after being inside most of the week so I actually have a few drawers full of “outside” shorts and shirts mixed with many drawers of golf shorts and workout attire. Where are your favorite places to buy clothes? Having traveled to Europe and the UK for business on a few occasions, I was fortunate to experience first-hand how an authentic haberdasher and clothier make a fitted business shirt and suit so I enjoy local men’s stores like The Sporting Gent or Taylor Richard & Conger. Of course, Nordstrom is consistently great. Who are your male style role models? I’m not sure if I have one because I’m in so many different settings that my choices are quite varied. I would probably say that I follow those who are slightly on the conservative side but still creative and stylish. Probably someone like the James Bond characters professionally and LeBron James in a more casual setting. 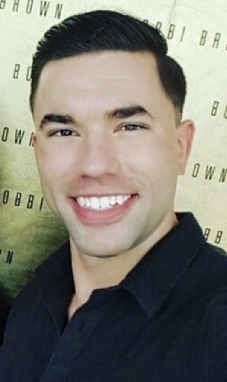 I’m pretty basic on grooming other than being a strong follower since Day One of the Dollar Shave Club's six-blade razor, Dove soap and Aveeno lotion applied a few times a day (because I have slightly dry skin). I also read an article years ago about shaving in both directions to remove the dead skin from your face that can cause irritation and cause wrinkles faster so I’ve done that for 20 years. 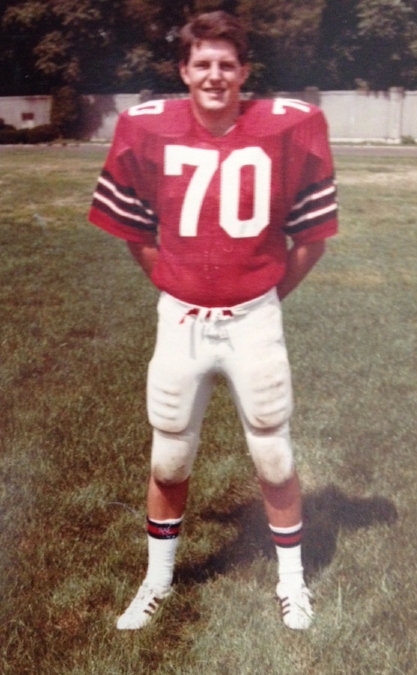 I played multiple sports my whole life - mostly soccer, basketball, football, golf and hockey - all the way through playing college soccer and a few years afterwards, so being physically active has always been a part of my life. I also have three brothers so that was a “sport” itself! 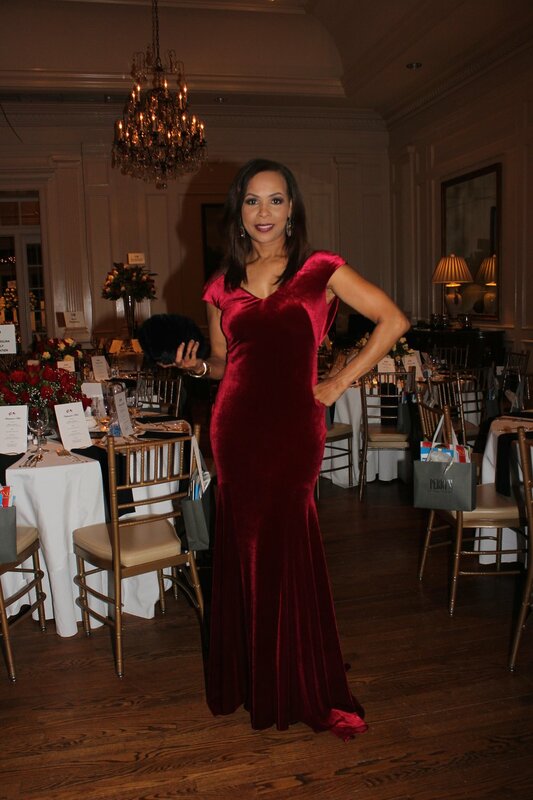 I’m on the Charlotte board of the American Diabetes Association (ADA) and have been a supporter and fundraiser for ADA for over 15 years in multiple cities that I’ve lived throughout the country. The number of people suffering and finding out they have diabetes is increasing faster than any other disease in the country - currently approaching 30 million Americans. Having met many afflicted by this deadly disease, I feel a great sense of urgency and responsibility to help bring a cure. That’s a tough one for me as I don’t really have much downtime. I always feel I can be doing something to advance our society, my business and my relationships with family and friends so I only sleep 5-6 hours a night (I'm working on that). I enjoy yardwork and find it therapeutic and rewarding while also being a good workout. I should read more. I enjoy history and learning about the plights of other cultures for survival and success. Sunday afternoon is for watching golf and football and taking a nap. Any timesaving tips you want to share? Put your work outfit out before you go to bed, repack your gym bag as soon as you get home to ensure you have it to take to work for a morning or lunch workout, shop early (7 a.m.) on Saturday morning, shop online as much as you can, and plan your next day before you go to bed to help limit distractions tomorrow. I like all types of food - my Italian/German/Irish heritage is a blessing and a curse. I prefer to mix it up so depending on the mood, my favorite places include Midwood Smokehouse (BBQ), Lorenzo’s (pizza), Capital Grille (steak), Dressler’s (Continental American), Upstream (seafood), Copper (Indian), Rai Lay (Thai), and Luce (Italian). Where are your favorite places for a getaway? Hope Town in the Bahamas, Amelia Island and the mountains of N.C. (Brevard, Asheville, Boone). What was your childhood dream profession? Randy (standing in the back sporting a mustache) and his siblings grew up in Manalapan, New Jersey. A 1978 Toyota Corolla that my mother had, then my sister, then my brother, then me in 1983.
Who are your favorite writers or filmmakers? Martin Scorsese, Lesli Linka Glatter (Mad Men), Ava DuVernay (Selma), Clint Eastwood and John Grisham. Helping to raise my two children to be both successful and good caring people. Protect those who need it, and expect much from those to whom much has been given. My remaining years will be balanced between preparing to care for my Mom when she begins to need it (she's 82-years-old); enjoying as much fun time with my wife and children as I can; and giving back to society for all the wonderful times, people and treasure I’ve been given in my life. I had a very successful millionaire boss early who said “numbers don’t lie but people do.” It kept me grounded in not being swayed by opinions that weren’t deeply rooted in quantifiable facts. My Mom taught me an equally great business lesson: Listen to what the person is saying, not the words they’re using. Hard work pays off; finish your work before playtime. What’s in your glass during Happy Hour? Either Jameson with one ice cube and lime, a glass of Pinot Noir (preferably Domaine Drouhin) or a Tito’s with lemonade and cranberry. 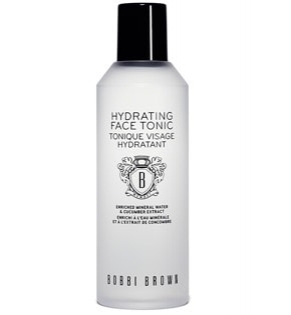 Bobbi Brown Hydrating Face Tonic is one of the brand's most popular products for men. 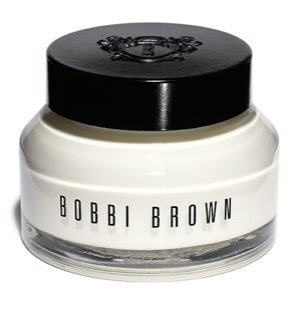 In 1991 when makeup artist Bobbi Brown launched her namesake cosmetics company, she probably had no idea that one day men would also be fans of the brand's skincare line. "Everyone, whether they're a man or a woman, needs to make sure they're taking care of their skin properly," Justin says. "Men really like the quality of the products and the packaging. Everything has very clean lines and most of it is in clear containers with a black cap - it doesn't look very feminine." That doesn't mean men are flocking to Bobbi Brown cosmetic counters in department stores - they're still shy about buying the products in person. "I hear many of our female customers say their husbands won't come (to the Bobbi Brown cosmetics counter), but they'll take their wives' Bobbi Brown eye cream and moisturizer and then get upset when it starts to run out." Justin says his main advice to men is to hydrate. "If all you're doing now is washing your face and shaving, just adding a moisturizer makes a huge difference." Here's Justin's list of the top eight Bobbi Brown products men use the most, and why they're popular. 1. Lathering Tube Soap ($34). "Men want a squeaky clean feeling after they wash their face." 2. Hydrating Face Tonic ($34). "It's alcohol-free so there's no burning or stinging and it helps remove any oil or residue left on the skin after cleansing." 3. Extra Repair Serum ($114). "It's so important for men to use a serum also because it's made to penetrate the skin much deeper than a moisturizer." 4. Extra Repair Moisturizing Balm SPF 25 ($98). "Guys don't want anything that feels sticky or heavy. They should be using at least an SPF 15, but higher is better, especially if they're outside a lot. This is great for men with dry skin who want sun protection. If you have sunroof, don't forget to apply this to exposed parts of your head." 5. Extra Eye Repair Cream ($74). "Everyone needs an eye cream. This is a moisturizer and a treatment product that melts into the skin, feels great, brightens and helps with fine lines. Just rub it between your fingers to warm it up and pat it around the eye area." 6. 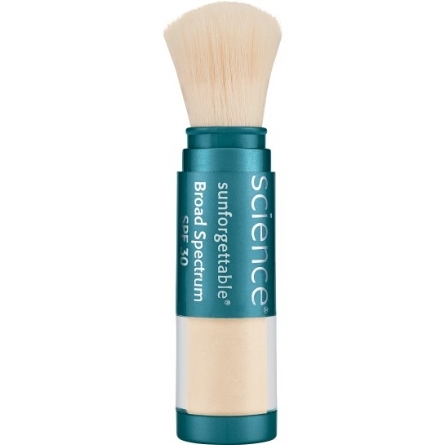 Buffing Grains For Face ($46). "Everyone, even men who shave, should exfoliate their face once or twice a week. Add the grains to the cleanser and it turns it into an exfoliator that makes the shave smoother, and it helps with eliminating ingrown hairs and razor burn." 7. Lip Balm SPF 15 ($23). "Instead of having to apply a cheaper drugstore lip balm constantly, this one doesn't feel heavy and and it works all day. It also comes in a stick formula if you prefer to apply it directly to your lips." 8. Hydrating Face Cream ($60). "Guys don't want anything that feels sticky or heavy. This is a lightweight cream with vitamin enriched water to help hydrate and condition the skin." A classic style and modern technology are earning the 2018 Jeep Wrangler Rubicon amazing reviews. This new generation of the iconic 4x4 is off-road ready for all kinds of rugged experiences. Its 33-inch BFGoodrich all-terrain tires are standard, which give it superior traction and a 10.9-inch ground clearance. And it has easily accessible sitches for engine its 4x4 capabilities. Pricing starts at $40,495. For more details go to www.jeep.com. Have you ever wondered exactly how much protein you need each day? "Take you body weight and divide it in half," she said in an interview in the publication Athlon Sports & Life. "You want 0.5-0.8 grams of protein per pound (of that number)." She says that one of the keys to protein intake is fueling your body as soon as you get hungry, especially after a workout or when you're having a busy day. Protein bars are a great on-the-go option for those situations, and one of her favorites is Nature Valley XL Protein Mixed Nut. This super sized snack is especially satisfying when you crave some crunch. And it has 15 grams of protein. But ultimately her philosophy is that the ideal protein bar is the one that tastes the best to you and that you enjoy the most. Felix Sabates hosted the Ambassador's Ball, the signature annual fundraiser for the Allegro Foundation, a champion of children with disabilities. 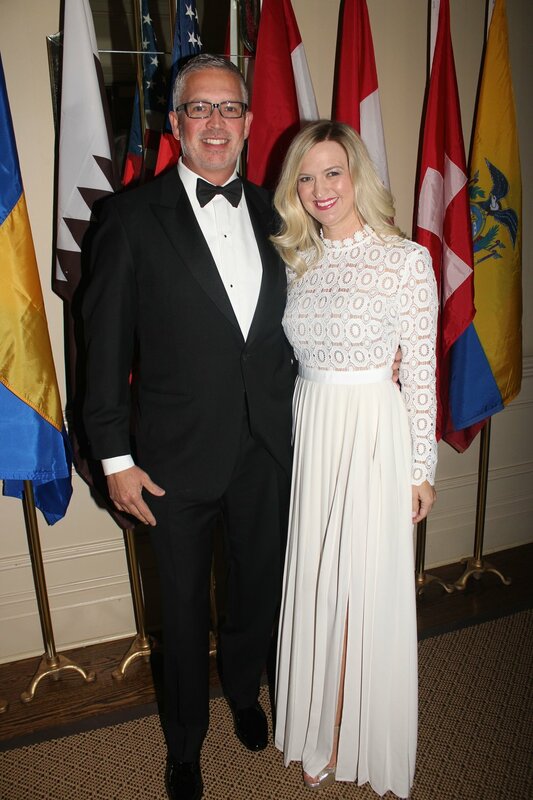 Held at Quail Hollow Club, the event honored Dr. László Szabó, Ambassador of Hungary. All proceeds benefit Allegro’s free movement education programs for more than 700 children with disabilities throughout the Charlotte, Huntersville and Fort Mill areas. Event sponsors included Ally Financial, the Charlotte Hornets, CPI Security, Domtar, Novant Health, SteelFab Inc. and Wells Fargo. The emcee was Larry Sprinkle and the auctioneer was Ernest Perry. Adrienn Domeny; Honorary Hungarian Consul Chris Domeny;; Pat Farmer, founder and president of the Allegro Foundation; Jason Schugel; US Representative Ralph Norman and Elaine Norman. Two champions for children with disabilities: Felix Sabates and his daughter, Mimi. Mike Hawley and Dr. Katherine Pierce. 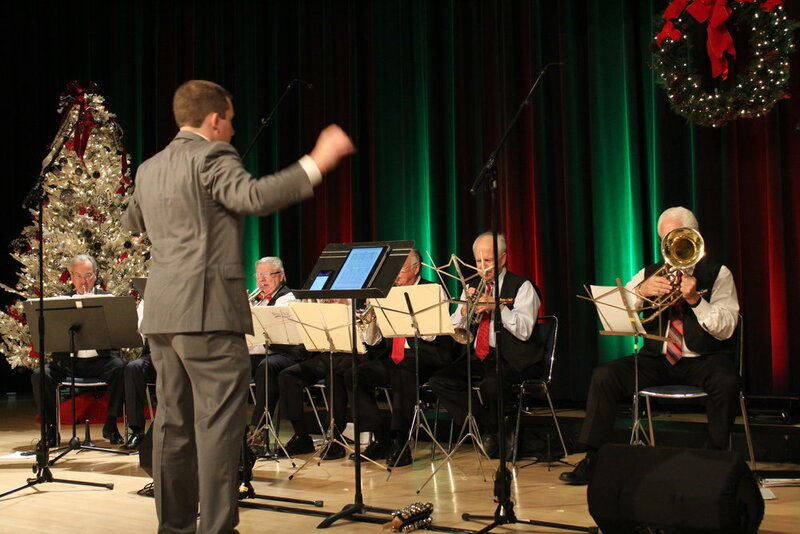 The Allegro students and their teaching assistants performed for gala guests. Standing, from left: Victor Sayegh, Christine Conte and Gianluca Conte. Seated, from left: Julia Sayegh, Donna de Molina and Al de Molina. Emcee Larry Sprinkle and auctioneer Ernest Perry. Michael Marsicano grew up in Saint James, New York, a historic little town on the North Shore of Long Island. He came to North Carolina as a college freshman to attend Duke University and just never left. While at Duke, he began dating his future wife, Leslie, during his senior year. "She was Nanette in the musical No, No Nanette and I was in the orchestra - I played a mean oboe," he says. After graduating with a B.S. in Psychology, he earned two more degrees from Duke: Masters of Education and a Ph.D. He ran the Durham Arts Council for six years before coming to Charlotte in 1989 to head the Arts & Science Council. In 1999 he became President and CEO of Foundation For The Carolinas, the 8th largest community foundation in America. It has $2.3 billion and oversees 2,500 charitable funds established by individual philanthropists, corporations, and nonprofit institutions. In 2017, Michael was named by Charlotte magazine as No. 1 on its list of Charlotte's 50 Most Powerful People. He serves on Duke University's Board of Trustees and has received numerous national, regional and local awards. True to his reputation for being humble and kind, Michael was generous enough to answer The O Report's questions about everything from his favorite book to his vision for the future. At work, I am a suit and tie kind of guy. Otherwise I wear shorts and a polo shirt earlier and later than weather really permits. Over the years, Paul Simon, but only when the sales sign goes up. President Obama and Prime Minister Justin Trudeau of Canada. Both men have impeccably tailored and timeless styles. They wear their suits, their suits don't wear them. I never really embraced the facial hair trend. Clean shaven with polished shoes is my style. I exercise in the mornings before work on an elliptical machine at home. However, I am still chasing the loss of ten pounds that most of us keep chasing. My wife and I enjoy giving to multiple arts organizations, our church, and selected educational and human service causes. We earned five degrees from Duke University between us so Duke is a high priority on our philanthropic list. There is nowhere on the planet I don’t want to visit as I love to travel; also, reading and gardening. With college payments for three sons now complete, we are empty nesters recapturing spontaneity. Count me as the worst time manager you’ve profiled. It is my Achilles heel. In Charlotte, the good food and elegance of Barrington's and the family feel of Dolce. Recently I have taken to Aqua e Vino. Once you walk through the doors you feel like you have stepped back to an old world Italian neighborhood. In Asheville, the unique tastes of Cúrate - call weeks ahead for reservations! We own a home in Asheville with another couple. With its stunning views, I call it Heaven and it is where I am most at peace. We also enjoy the beaches at Kiawah Island and Emerald Isle. The goal was to be a doctor. I thought I would earn a medical degree and ended up with a research doctoral degree. It wasn’t exactly what my parents had in mind but they grew to appreciate a different path. A very old but well-kept Oldsmobile. I bought it in my senior year of college. Steven Spielberg is my favorite filmmaker. I have too many favorite authors to select just one. However, my recently discovered favorite author is Anthony Doerr who wrote a beautifully penned book, All The Light We Cannot See. I highly recommend it. Because he captured the imagination of and curiosity in my children and ignited their lifelong love of reading, it would have to be Harry Potter. 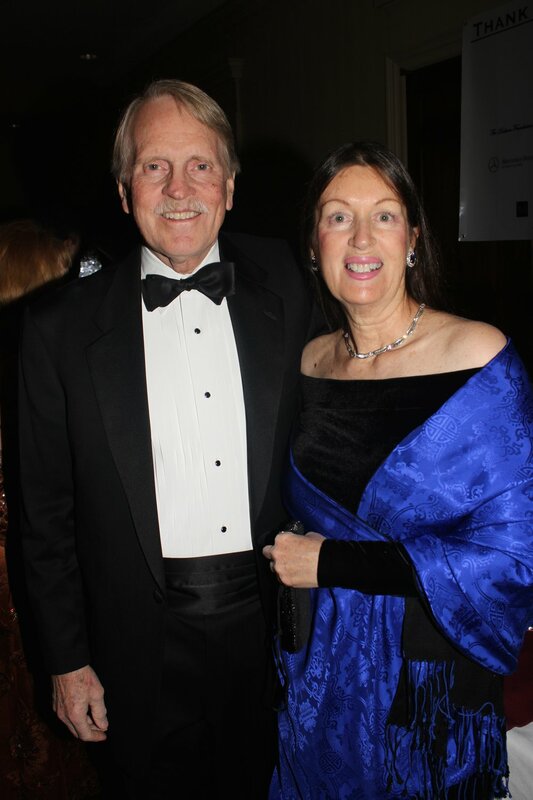 Michael and his wife, Leslie, at a Mint Museum fundraiser in 2017. The couple met as students at Duke University when she was the lead in a musical and he played in the orchestra. Convincing my wife to marry me and raising three terrific boys. Two mottos: Ask for forgiveness and not permission; and don't let the perfect get in the way of the good. The latter motto is challenging for a self-proclaimed perfectionist. I believe in the collective wisdom of citizens to build a better future together. Recently our collective purpose has given way to a divisive individualism. Setting tables for collaboration and generosity towards one another is my professional purpose. Two related pieces of advice on being successful in Charlotte from two sources: Cyndee Patterson, who admonished me to gain influence by being so competent no one could ignore me, and Rolfe Neill, who convinced me that I should view myself as equal to other leaders in the civic life of Charlotte even if I was not their financial, social, or political peer - and to start acting like it! My father would give the shirt of his back to anyone who needed it. The roots of my career in philanthropy begin with him. I eat a lot of fruit. What's your favorite splurge snack? A robust and full-bodied glass of red wine. Men's fashion expert Jon Simon of Paul Simon Co.
Second-generation clothier Jon Simon of Paul Simon Co. at the Village at South Park is a men's fashion expert. He has a hand in shaping the style of some of Charlotte's best-dressed men of all ages, but here he shares his advice for men 50 and up in a Q&A with The O Report. What are some of the fashion problems men in their 50, 60, 70s and up are facing? And what are the clothing solutions you recommend? "The business environment has become much more casual, and senior leaders are having a hard time visually distinguishing themselves. Knit shirts and khakis look good on a younger toned guy, but do not always flatter an older physique. Men this age don’t have the same body they had when they were in their 20s and now they have to turn to clothes to continue to look young and vibrant. 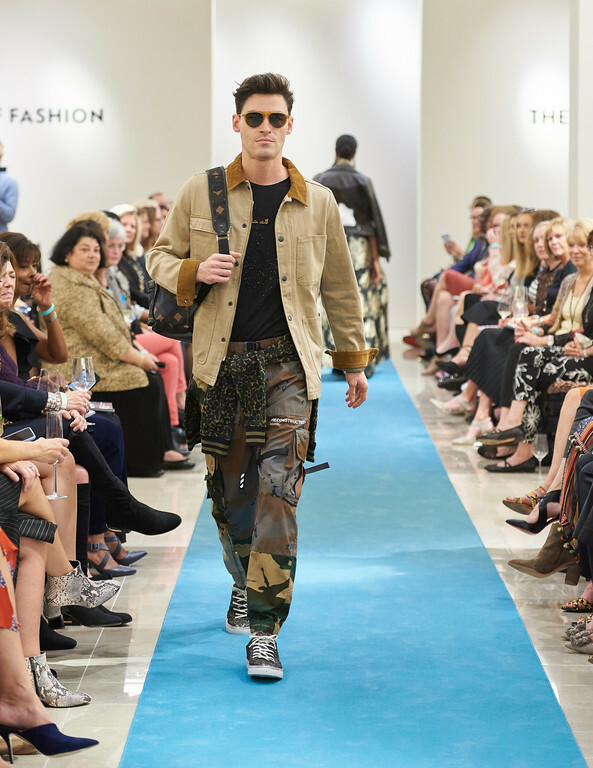 The pace of men’s fashion is now moving more quickly than it used to and men in a leadership position need to keep in step. My suggestion is to make your clothes a priority each year. Keep up with what your needs are. Ask your significant other if they will share some of the yearly clothing budget. Find a professional to help you that you trust and are comfortable with." What are some of the new trends that can help men in that age group update their look? "I still believe that a sport coat is a difference maker. The shoulders and silhouette of a jacket show superiority, confidence, and give a sense of personal presence. Fabrics with stretch that started in women’s wear have invaded better men’s fashion. It has been helpful having fabrics with stretch coincide with the trimmer fits of today. 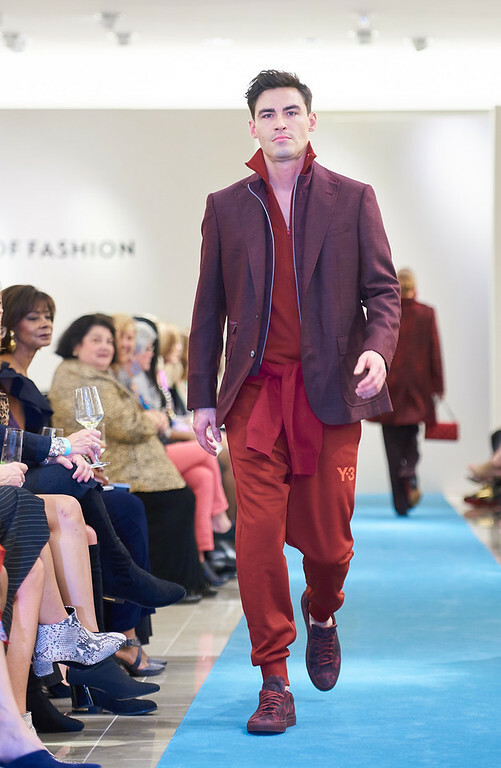 This has allowed men 50 and up to adopt some trendier looks while retaining a comfortable feel." What are the key quality wardrobe pieces that men should have by that age? 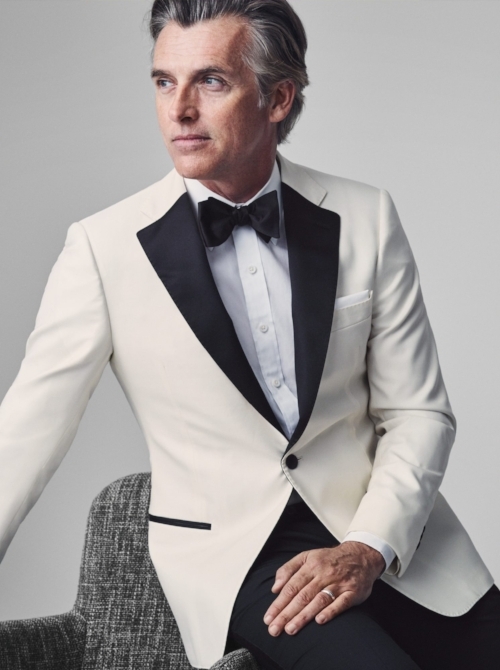 "A tuxedo for special occasions, life cycle events and galas. Two suits that are current in fit and design. A navy blazer without brass buttons. A nice piece of outerwear for wearing with nice clothes to work or going out in the evening that is in addition to their technical North Face type outerwear. Some ties that are a current width. Two good pairs of jeans, one for hanging out with the kids or grandkids on the weekend and one that is dressier for going out in the evening. And at least one sport coat that is seasonal in fabric and color." What are your thoughts about untucked shirts? "Untucked is comfortable, but is not flattering on all body types. There is a time and place for the look. Not all shirts are designed to be worn untucked. A professional can help you determine if the untucked look is right for you or not." Who are the best-dressed male celebrities, from both the present and the past, that older men can look up to as style role models? "Michael Douglas, George Clooney, Robert Redford, Tom Brady, Van Jones, Jeremy Piven and Ed Bradley." How can men dress casually without being sloppy? "You must have clothes that you feel comfortable and confident in. Get rid of the baggy look. Everything has a more tailored fit today. Make sure you have the right accessories. For example, wearing an old belt with a new outfit will ruin the entire look." Trask Chukka Boots come in a variety of colors and materials including leather and suede. What are some of your favorite new pieces for Fall/Winter that would be a great addition to the 50 and up man's wardrobe? A quilted vest from the Italian brand Waterville. "Trask Chuka Boots. An updated cardigan knit. An unconstructed soft coat. Five-pocket non-denim pants from Brax. New denim washes from 34 Heritage. A quilted vest from Waterville or Corneliani." 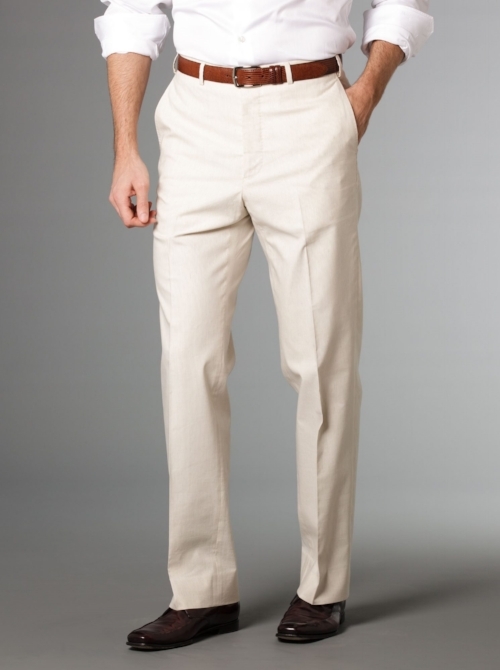 Five-pocket non-denim pants from Brax.